Last Wednesday along with DOT and LGU of Glan Sarangani, me and my fellow SOX bloggers embarked on a cruise. 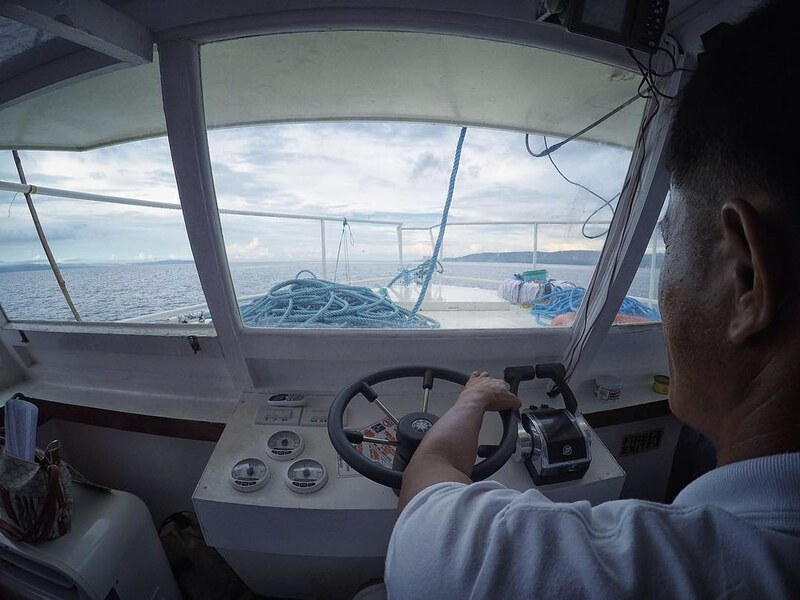 I’ve never been on a sea trip like this before, especially one that is set on Sarangani Bay. This cruise is arranged to travel from General Santos City to Maasim then last stop would be Glan Sarangani. Our goal is to cover as many scenic spots along the way and get familiarized with the options for tourism potentials within SarBay area. So even though I’m sleep deprived I hopped on the boat and prayed for a safe journey on board MV Bangsi 1. 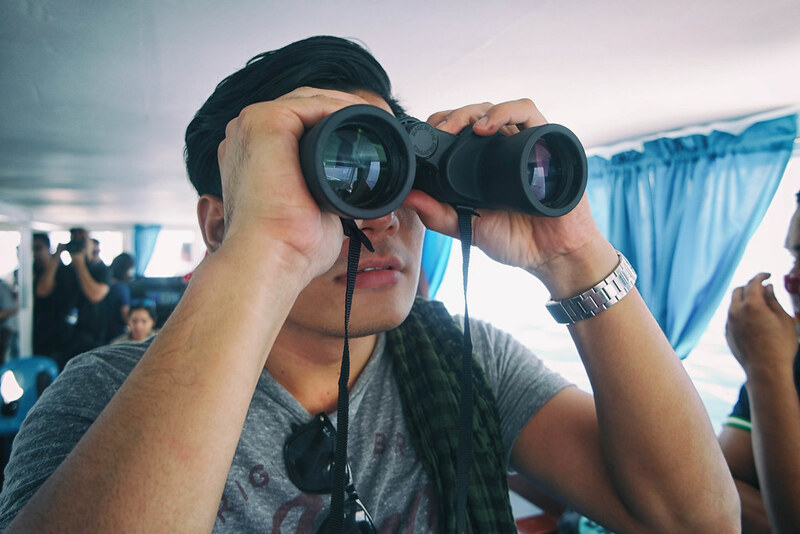 We started our ‪#‎SarBayCruise‬ at General Santos City Fish port Complex. 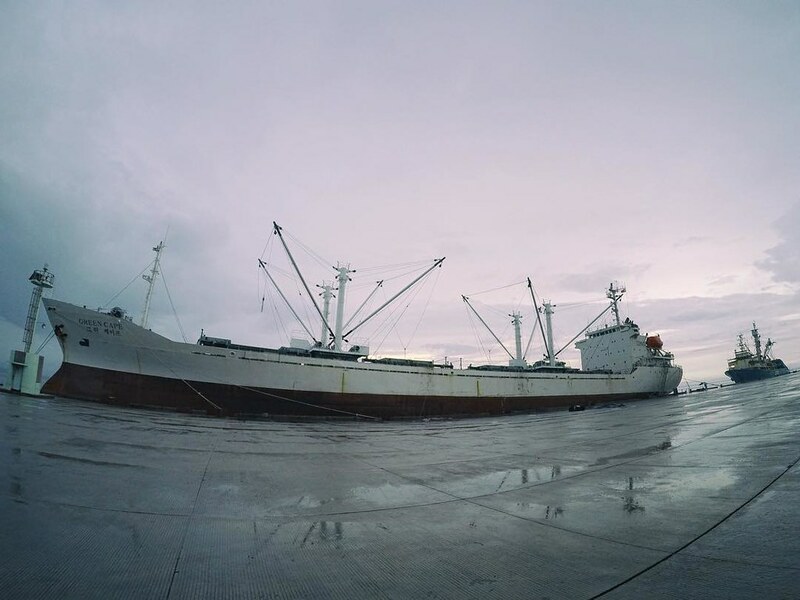 Covering an area of 11 hectares, this facility serves as wharf and market for the fishing fleet. Here you’ll get the chance to witness how fisherman processes the famed tuna of Gensan. The day started with a heavy rain, but the motor vessel Bangsi 1 is more than capable of handling the rough waves with passengers maxing to 50 people. It’s not as smooth as sailing on bigger ships, but you won’t notice the difference at all, a good distraction is the coastal views of Maasim along the way. Among the sceneries are the Maasim Mangroves, Sarangani Paragliding Site, Shipyards, Coal plant and properties of Congressman Manny Pacquiao. Our first stop is at Lemlunay Resort, located at the edge of Tinoto Reef, Maasim. 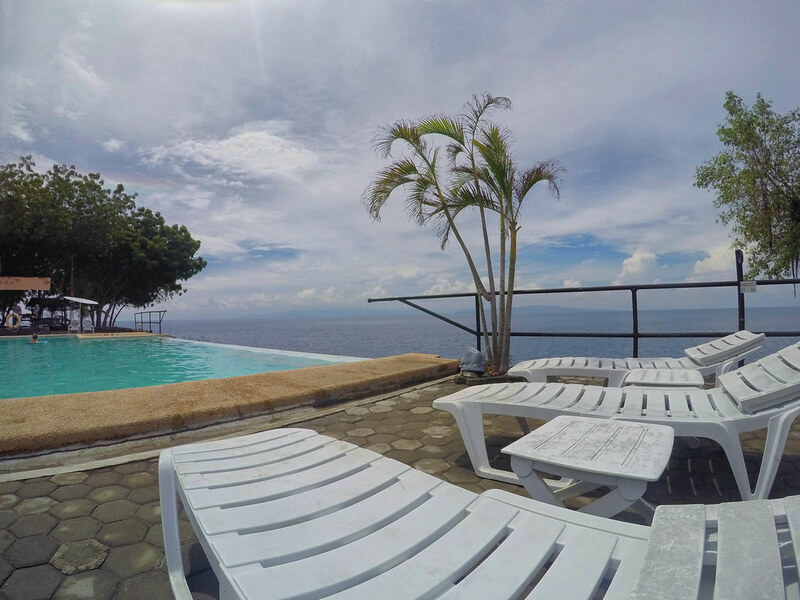 This establishment offers a great view of the ocean and Sarangani Bay. Lemlunay in the B’laan and T’Boli tongues, roughly translate as paradise. Aside from the seascape, you can swim the resort’s infinity pool, try snorkeling and enroll in their diving classes. They offer beginner and advanced classes. After a quick breakfast at Maasim were back on the sea and on our way to Glan Sarangani. I would have slumbered the hours away if not for the commentary and sightseeing happening on the boat. Akbe de Mahin, Fort Calinao, Gensan Skyline, Kapatan Fish Cage and the town marker are just among the few sceneries we’ve passed through. 2nd stop is at Lanai 1867. The first thing you’ll notice once docked is Lanai 1687’s beautiful jetty. The coast is also filled with old mangrove trees adding more appeal to the establishment. Lanai means an open-sided veranda while 1687 is the exact marker of the location of the restaurant. What I fancy about this place is not only it’s Instagram-worthy dock but also the food here is unquestionably delicious. A definitely must try when in Glan. After the lunch stop, I found myself half asleep, cradled by the sea. The only thing keeping my senses up are the sight of Glan coast and its beautiful mangrove forest stretching to 114 hectares. With over 21 species of mangroves, this ecosystem serves as a breeding and nursing ground for fishes. It also serves as a buffer against strong winds and surges to the coastal inhabitants. Slowly we tour this dreamy town, driving through the puddles on a small tricycle I can’t help but be in a daze. I’ve been to this town many times but as always this place makes me feel like I’m in a different era. The ancestral houses, the century-old trees, and Colonno marker are remnants of the rich history of this community. The rain just stops as we were about to return to our boat. The pier with performers half an hour ago was now crowded with children and adults alike having some Sunday fun at the wharf. We say our goodbye to the people of Town Glan and head straight to our last stop – Isla Jardin Del Mar. The destination isn’t that far and on the way, you’ll pass through a number of beaches. Among those are Sumbang Point, Pacquiao Resort, Belandang Resort, Brod Louie Resort, Espanola Cove, Crystal Island, Davak Resort, White Haven, Rosal Beach and Coco Beach. Any of these resorts are good options if you decide to stay overnight or spend quality time at the beach. 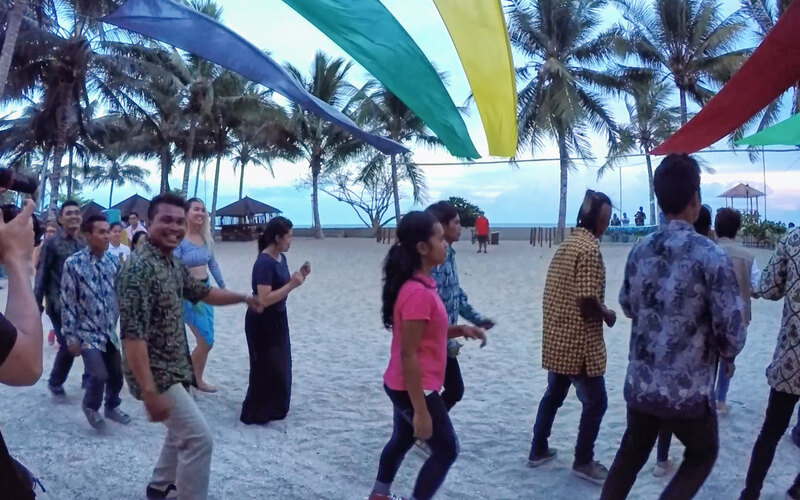 As we arrived at Isla Jardin Del Mar, we were greeted again by a dance performance but this time, it’s from a group of Indonesian teens. I was fascinated not only by their traditional dance and batik clothes but also how they end up at Glan. We were told that Indonesian communities set in this part of Sarangani because of the trade system and close proximity to their island from Mindanao. Most of them understand and speaks Bisaya too. With 750 meter stretch of white shoreline, Isla Jardin is not only offering great amenities and food options but it is also an excellent choice for romantic walks and great sunset view. Unfortunately, there was no sunset during our arrival but we did end the tour with a pleasant dinner, so everything’s cool. Supposedly the tour should end with us going onboard Bangsi 1 and cruise back to Gensan Fish Port. That will be a great option if only we have enough time and perfect weather. But with all of us tired and drowsy we decided to opt for a land ride back to Gensan. 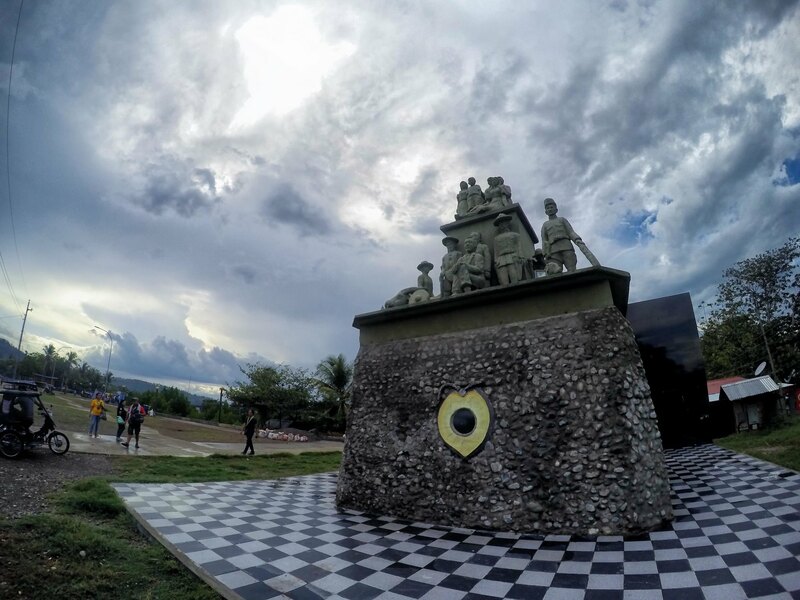 So having completed the tour, and getting familiarized with the destinations and options we parted full, tired and overwhelm by what Sarangani can offer. It makes me look forward to the future of tourism in this area. It is something new and I think it will open more doors to the potential of the region in terms of tourism. If you’d like to experience Sarangani Bay Cruise then contact Bangsi Watercraft Service at 09778017356 or visit www.gosaranganitravel.com for booking.